Special hardness gauge for Brinell tests up to 3000kg, particularly suitable for measurement on railway wheels thanks to the manual or motor-driven XY table. 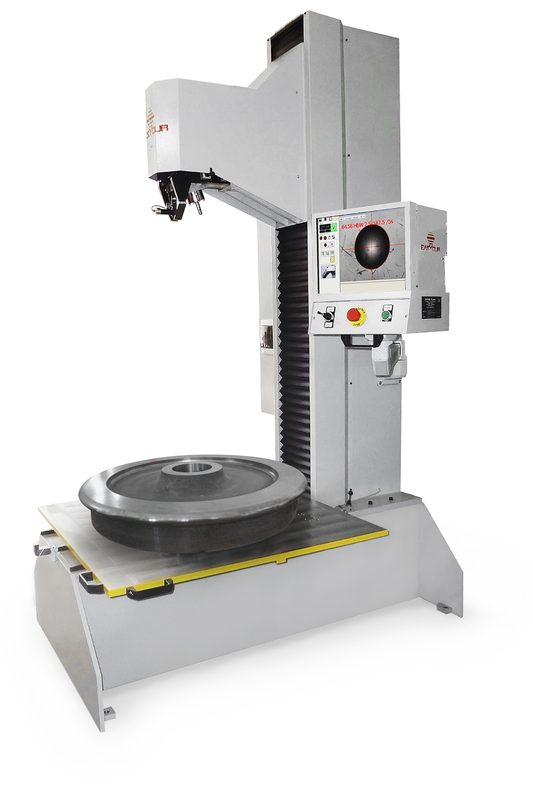 Integral XY is a special hardness tester suitable for tests on railways wheels and other pieces, designed with a manual or motorized XY table for easy moving and placing of the pieces. This machine performs Brinell tests up to 3000 kg and can be equipped with an automatic and fully programmable milling system.